An interesting video posted last year of blogger Max Blumenthal‘s visit to the Christians United For Israel’s Washington-Israel Summit. Fascinating stuff. 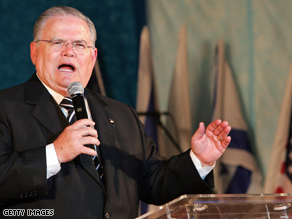 CUFI was founded by Texas mega-church paster (and now former McCain supporter) John Hagee. 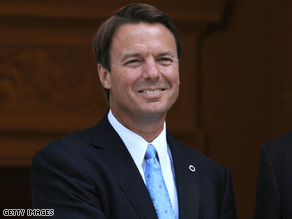 CNN is reporting that based on the latest audio of Rev. John Hagee’s remarks about God essentially ordering the Holocaust, McCain has finally rejected outright the support of the controversial evangelical preacher. Only an hour later did Hagee outright withdraw his McCain endorsement. Previously, Hagee blamed Hurricane Katrina’s destruction of New Orleans on the city’s apparent acceptance of gays, and its own gay pride parade. It should be noted that just about the only section of New Orleans unaffected by Katrina was the French Quarter.